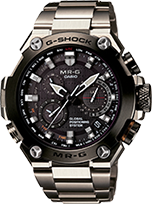 The new MRG-G1000B-1A4 features crimson accents that evoke the red lacquered armor which signified the power and strength of elite samurai during the Warring States period of old Japan. 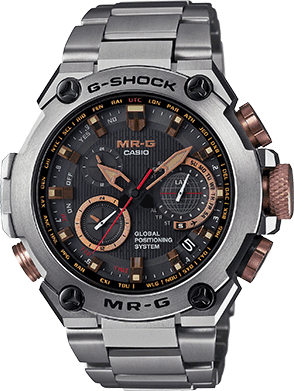 Crimson accents are applied to the bezel and dial logos, second hand, and inset dial hands, adding to the solid and rugged look of the MR-G. 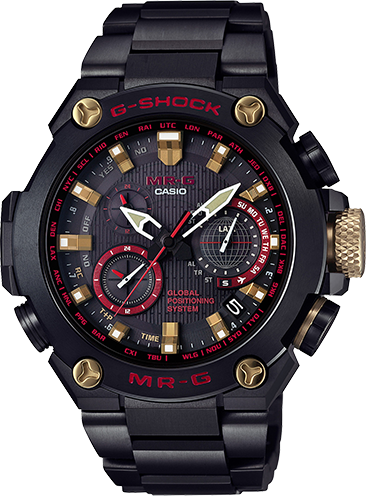 The large side buttons, crown, and front screws are chiseled from metal and finished with gold ion plating, highlighting the black and red theme and lending a refined look to the watch. 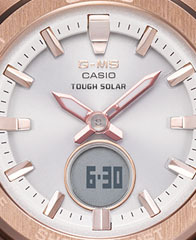 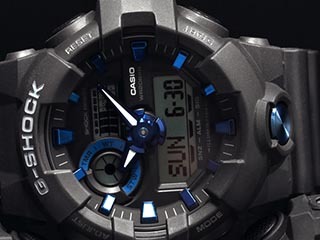 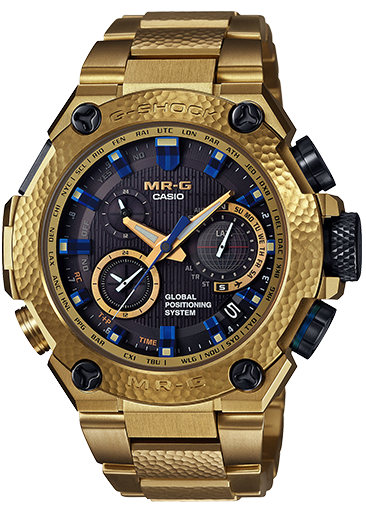 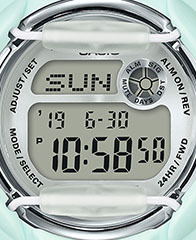 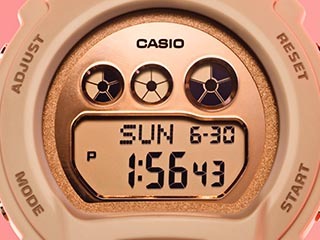 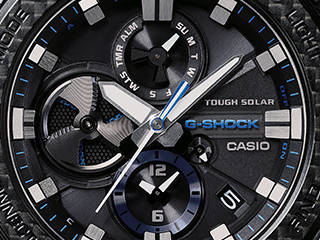 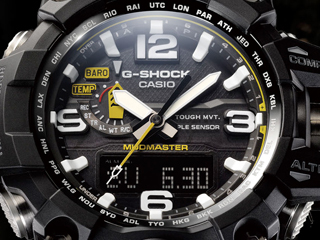 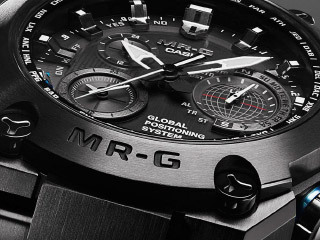 The MRG-G1000B-1A4 comes with a timekeeping system that receives both GPS satellite signals and radio wave time-calibration signals, and features Dual Dial World Time, which displays times in two cities simultaneously.